Did u like Charisma better in Buffy of Angel? de keuze van de fan: I liked the way the chracter developed through the shows. 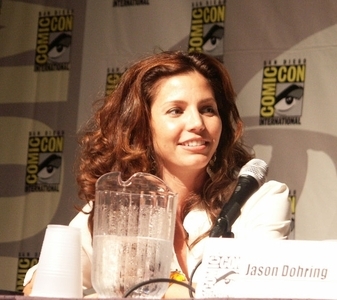 Did u like her as Cordy on 'Buffy' and 'Angel'? What Hairstyle do u like best? It's from one iconic, fan favoriete series to another for Charisma Carpenter! The Buffy alum spent some time up in Vancouver this summer filming a very special guest starring role on Supernatural, and from what she told us about her "Shut Up, Dr. Phil" appearance (with a titel like that, u know it's going to be good! ), the episode itself is sure to be iconic all on its own. Click here for a foto voorbeeld of Carpenter guest starring in Supernatural. Now it is reported that Eva Longoria has shoved herself down Marvel’s throats practically “demanding” the role of Janet busje, van Dyne aka The Wasp! Although her beauty can be easily compared to Charisma Carpenter’s(as well as lack of talent), looks aren’t everything i base My Secret Identity Picks on.